Ameriscapes offers a large variety of detail-driven landscaping services that will greatly enhance your house’s curb appeal. 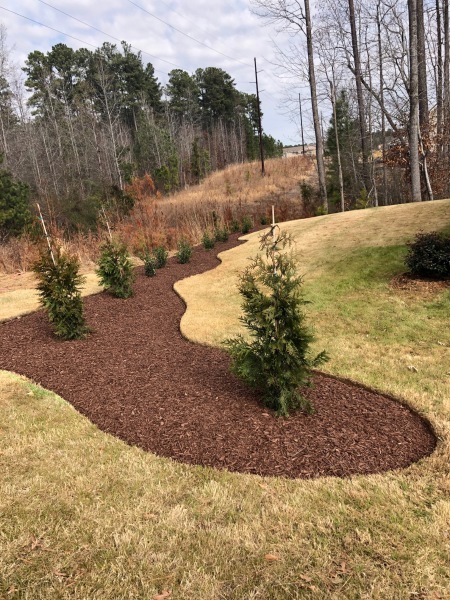 Not only are our installs aesthetically pleasing, but many times they are done to provide solutions that may include: reducing or eliminating water erosion, providing privacy, and removing overgrown shrubs or trees that are too close to the foundation of homes. Our flexibility allows us to take your budget and thoughts into account so we can turn your ideas into a reality. Installation of Rocks, Mulch, etc.